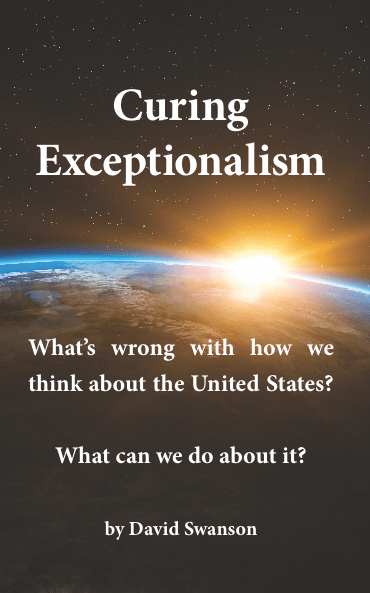 Curing Exceptionalism: What’s wrong with how we think about the United States? What can we do about it? (April, 2018) — U.S. exceptionalism, the idea that the United States of America is superior to other nations, is no more fact-based and no less harmful than racism, sexism, and other forms of bigotry. The purpose of this book is to persuade you of that statement. 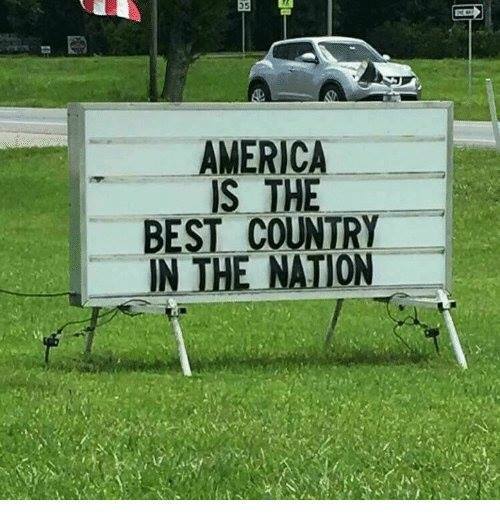 This book examines how the United States actually compares with other countries, how people think about the comparison, what damage that thinking does, and what changes we might want to consider making. classrooms throughout the U.S.” —Kathy Kelly, co-coordinator of Voices for Creative Nonviolence. “A must-read for every U.S. citizen.” —Robert Fantina, author of Desertion and the American Soldier 1776-2006. Get a personalized, signed-by-the-author copy mailed to you right away by sending $50 and your name, address, and instructions through website or by check made out to David Swanson to: David Swanson PO Box 1484, Charlottesville VA 22902 USA. Donations above $50 much appreciated! Buy the Audio Book (MP3), read by the author. Buy the E books: MOBI, or EPUB, or ZIP FOLDER WITH MOBI, EPUB, AND AZW3. Buy the paperback at your local bookstore. Buy the paperback on Barnes & Noble, Amazon, or Powell’s. Get a big discount on orders of 10 or more paperbacks. Let me know how many of which books and where they need to be shipped, and I’ll let you know the cost. You can also get the PDF, E books, and audio book from eBookIt.com. Share this book on Facebook, Twitter.